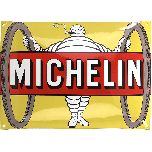 This metal sign features vintage “Bibendum Moto” original Michelin advertising artwork. 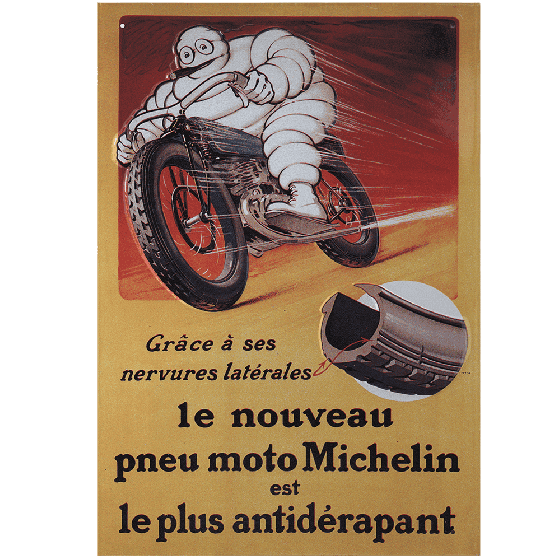 Mr. Bib riding his motorcycle is the famous vintage advertising design reproduced on these high quality retro metal signs. These vintage garage signs have great detail and value! 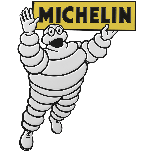 Collect all 12 Michelin signs. 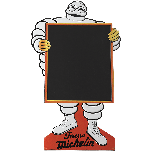 Size: 10 1/2"" x 15 3/4""